Diabetes is a health crisis. 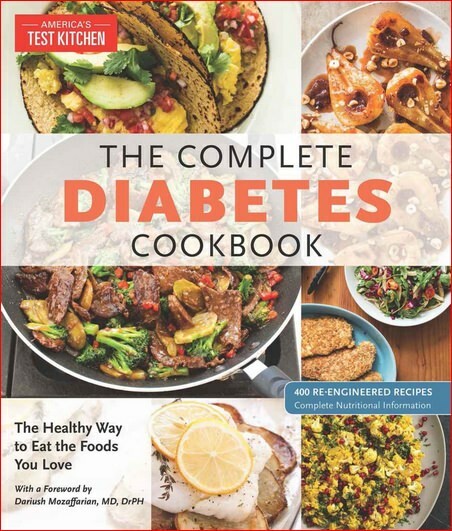 America’s Test Kitchen’s urgent mission is to provide a path to healthier eating for anyone cooking for diabetes and encourage home cooks to get into the kitchen with a complete collection of great-tasting recipes. Vetted by a dietician and a doctor, all of the more than 400 inspired recipes maximize healthy ingredients and flavor while adhering to specific nutritional guidelines. Enjoy every meal with fresh and creative recipes for breakfast, lunch, and dinner, including options for entertaining, snacks, and occasional sweet treats.